Linguistics is a subject which came to the fore only in the 1960s. It is founded on a fallacy. Linguistics claims to be “the scientific study of language”, but language behaviour is too open-ended and creative to be treated by the methods of science. In consequence, linguistic theories systematically distort the nature of language, and present a misleading picture of our human nature. 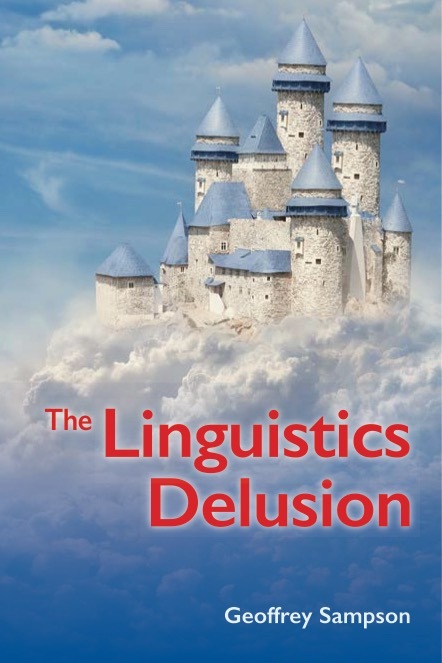 This book shows how various traditions of linguistics, and their accounts of different aspects of language, are all infected by the delusion of scientism. And it offers positive examples of how language can be studied insightfully, once the scientistic delusion is given up. To whet your appetite, I have placed a copy of the introductory chapter on the Web. 13 How Many Possible Trade Names Are There? The Linguistics Delusion is published by Equinox, of Sheffield and Connecticut. Paper copies are available via relevant British or American Amazon pages; for the e-book see the link below.